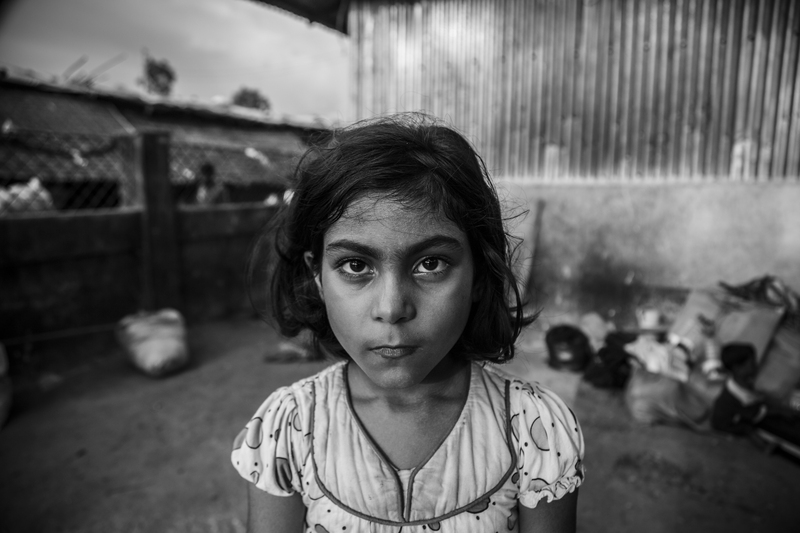 Photos: These are the Rohingya children who escaped Myanmar’s "ethnic cleansing"
COX’S BAZAR, Bangladesh — “My mother was killed after the military set my home and village on fire,” 8-year-old Yasmin Noor said. Some 625,000 Rohingya have converged on the small fishing village of Cox’s Bazar since August. Sixty percent of them are children, according to UNICEF. There had already been some 200,000 Rohingya refugees living in the border village before September’s massive influx. In total, more than 830,000 refugees are now living in two sprawling camps across Cox’s Bazaar. In fact, there are thousands of children who have arrived to these mud-soaked camps alone — having lost both parents to violence, or separated along the way. A recent survey by UNHCR found that 5,677 (3.3 percent) of Rohingya refugee households in Cox’s Bazar were headed by children. More than 4,800 households, or 2.8 percent, include children who have been separated from their families or remain unaccompanied. Each day, there’s increased risk that these unaccompanied children will become victims of sexual abuse or forced into the slave trade, warned the United Nations migration agency in a recent report. “We are sitting on a time bomb. If we don’t keep reacting, it could explode at any moment. They need water, shelter, food, obviously, medicine and nutrition,” said Jean-Jacques Simon, chief of communication at UNICEF Bangladesh told VICE News. Children lucky enough to have survived the trip with one of their parents or members of extended family carry other hidden scars — most notably, the trauma of having watched a loved one murdered before their eyes. “They raped my mother and later killed her by slitting her throat,” said 12-year-old Faruq, who escaped with his father in September. They’ve been living in the Kutupalong refugee camp ever since. In November, the governments of Bangladesh and Myanmar agreed to a deal that would return hundreds of thousands of Rohingya refugees to Myanmar early next year. Yet questions about safety and implementation linger.